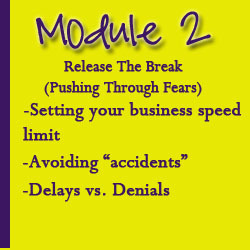 6-week training bootcamp for entrepreneurs and visionaries. Do you feel that you are pursuing your purpose? Are you ready to build a platform that showcases your gifts, talents, abilities and brilliance? Great! Then you’re in the right place. We kick off with two Focus Clinics. You can join any or all of these calls to help you start out by getting really clear on what you’re going to be offering to who. Yes, we’re going to nail your niche at last! Every Monday for six weeks we then have a Bootcamp Intensive Training Call where I’ll be teaching you how to create your vision statement and strategic plan. We’ll work out your three key objectives of your vision (including your launch). I’ll teach you exactly how to create your business strategy; how to use video, audio and text to get the best results for your sphere of influence; and even how to create, run and fill a launch teleseminar or webinar (even if you don’t have a mailing list) so you can get those clients on board. Each of these calls is packed full of exercises for you to implement directly after each call. Every Wednesday for six weeks we also have a Bootcamp Live Call. These are your chances to get laser coaching from me if you get stuck anywhere or want more clarification about how to apply what I’m teaching you to your own business and particular circumstances. 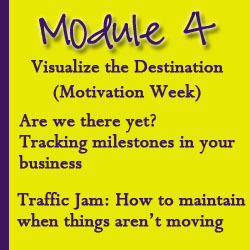 Each week you’ll have access to additional video, audio and exercises you’ll be expected to work through. 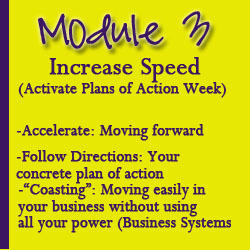 This way we can spend our time together working on applying the strategies to YOU. I will also show you exactly which buttons you need to press in which bits of technology to make the whole launch process easy for the non-techies amongst you. This is the part most other programs leave out, but I’m going to teach you how to do it yourself !! And of course you’ll have access to a private Bootcampers online members area so you can get support from the others working through the six weeks with you – and beyond! Where is the Permission to DRIVE Bootcamp? The beauty of it is you don’t have to go anywhere. We meet online so you don’t even have to spend the cost of a phone call as long as you have a headset and microphone. What if I can’t make some of the times? Obviously attending the live calls will give you the best turbo-charge you could ask for, especially as you’ll have the opportunity for laser coaching on the Bootcamp Biz Calls. However there will be a recording of each live call if you’ve got something un-cancellable but you know you can commit some time each week to catch up. 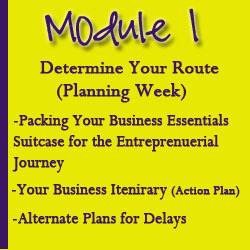 I’m sure if I sat down for a week, I could plan a way to do everything you’ve just outlined – why would I pay for this? I know that for some of you, you love the idea of finally implementing your vision and you know exactly what you need to do AND YOU’RE ACTUALLY DOING IT (!!) and if that’s you then read no further. But I know from experience that even though most of you ‘get’ the whole idea of creating your vision you just don’t know how to implement the solutions effectively and you get stumped OR you know what to do but all of what you know how to do it just sitting in piles in a notebook and nothing is being done. Listen, I know how hard it is to find the time to create content, learn about marketing and work out the technology you need to make it all happen and that’s why I’m going to be holding your hand and helping your through the process one step at a time in an extremely focused way. As it’s a Bootcamp, I’m also going to be ordering you to do certain things in a certain timeframe in a very sergeant-major sort of way (but from a place of love!) and holding you accountable for your actions at a very personal level. Once enrolled, you’ll have no chance to fail but to deliver – my job is to make sure of that! Why am I offering it to you at this price? Researching all this stuff and working out how to do everything I’m going to teach you is NOT what you were put on this planet to do. It IS, however, what I was put here to do! 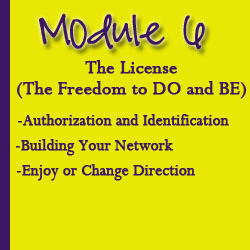 In this boot camp you will receive all the tools, templates, and tutorials and your Permission to Drive Training Manual. You’ll have access to the weekly boot camp live calls where you can speak to me directly and gain clarity on any questions you may have. All modules include video, audio, and virtual assignments with real time feedback in a private online portal. My personal mission is to help as many visionaries as possible move from dreaming to implementing. This is the most cost-effective way I could work out to get the information I have into your hands and into your businesses and organization. Don’t put this off; this is your season of turnaround! To do that YOU must do something NEW. 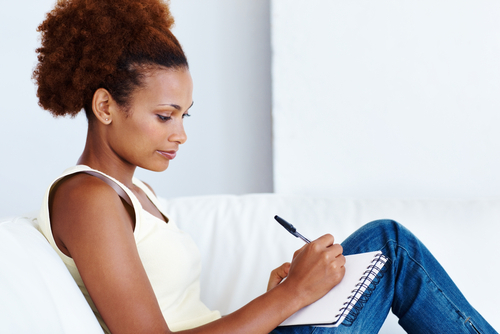 Procrastination has been keeping you behind; don’t let it do that anymore. Take advantage of this opportunity today.